A former worker at a Jersey children's home has been found guilty of eight counts of indecent assault against three teenage girls in his care. 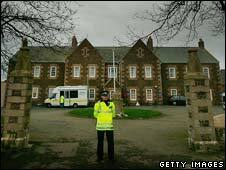 Gordon Wateridge who worked at the Haut de la Garenne home, was cleared of a further 12 charges of indecent assault. The 78-year-old, who lives in the parish of St Clement, was described as "a persistent sexual bully" during his trial at Jersey Royal Court. The convictions relate to his time as a house parent at the home in the 1970s. Wateridge was also found guilty of assaulting a teenage boy. He had denied all the charges against him and told the court that staff at Haut de la Garenne were advised not to have any physical contact with the children in their care. He was released on bail pending sentencing in September, but Judge Christopher Pitchers warned him he had betrayed a position of trust and there was an overwhelming possibility that he would be given a custodial sentence. Wateridge, who was born in Croydon, south London, was the first person charged in connection with an inquiry into historical abuse at the home. Speaking after the verdict, Det Supt Mick Gradwell said in a statement: "Gordon Wateridge, a house parent at Haut de la Garenne, was a sexual bully towards vulnerable young girls in his care. "We hope the complainants involved in this trial have received some comfort from the decision reached by the court. 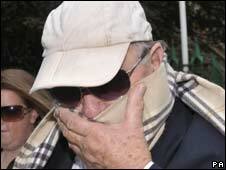 "The historical abuse inquiry is continuing and there is another case in the court process. "We would like to emphasise that the States of Jersey Police take reports of historical abuse seriously, and are committed to investigating them." The historic abuse team has submitted further evidence to the island's Attorney General, and he and the police are expected to make a detailed statement within the next few weeks. But the BBC's Robert Hall, in Jersey, said there were serious questions about the way the investigation had been carried out, not least the role played by the island's police Chief Officer Graham Power, who was suspended from duty last year for allegedly mishandling the inquiry. There had been suggestions of murders taking place at the home, and following extensive searches police initially claimed to have found traces of blood, a fragment of a child's skull and secret underground "dungeons". But in November 2008, these claims were discredited. Senior officers admitted there was no evidence of any murders and said "misleading" information had been wrongly made public. Wateridge was arrested early last year. He worked at the home between 1970 and 1974 and lived in a flat on the premises with his wife and two children.